Amid a spate of controversies involving the defence establishment, the Defence Ministry today cleared the long-term integrated perspective plan (LTIPP) for 2012-2027 and the five-year defence plan (2012-2017) besides effecting a key change in the offset policy by including transfer of technology (ToT). The crisis in the Punjab Congress appears to be reaching a flashpoint. 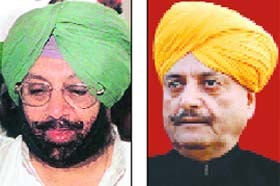 State Congress chief Capt Amarinder Singh has called a meeting of party losers in the Assembly elections on April 4. Pro-democracy leader Aung San Suu Kyi today hailed a �new era� for Myanmar and called for political unity after her party swept to victory in elections seen as a test of budding reforms. State-owned oil companies today warned of disruptions in fuel supplies if they are not allowed to raise petrol price or compensated for the Rs 48 crore per day loss they incur on selling fuel below cost. "The situation is very critical. Known as the �apple state� of the country for the past five decades, Himachal has undergone a silent transformation with �vegetables� overtaking the premium fruit as the main cash crop. Steadily but surely, the �Jewel of Srinagar� is on path to regaining to its pristine glory. 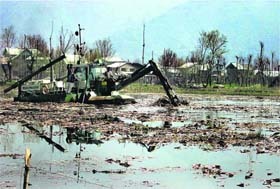 The Dal Lake, which attracts lakhs of tourists each year, has largely been cleared of silt, weeds, sewerage and encroachments that was choking it for decades.